StreeLink 2018 – A Window Glimpse Into The Year That Was. How do we understand the idea of violence? Is it just physical? Are women truly each other’s enemies? 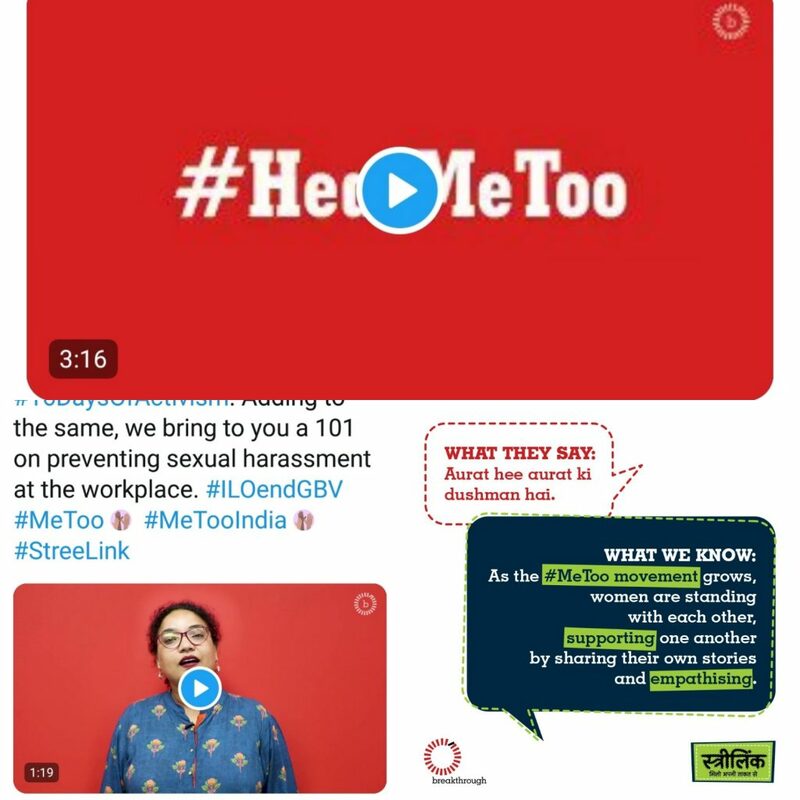 Breakthrough India’s StreeLink Campaign of 2018 took on age-old patriarchal assumptions – through the means of online and offline engagement. 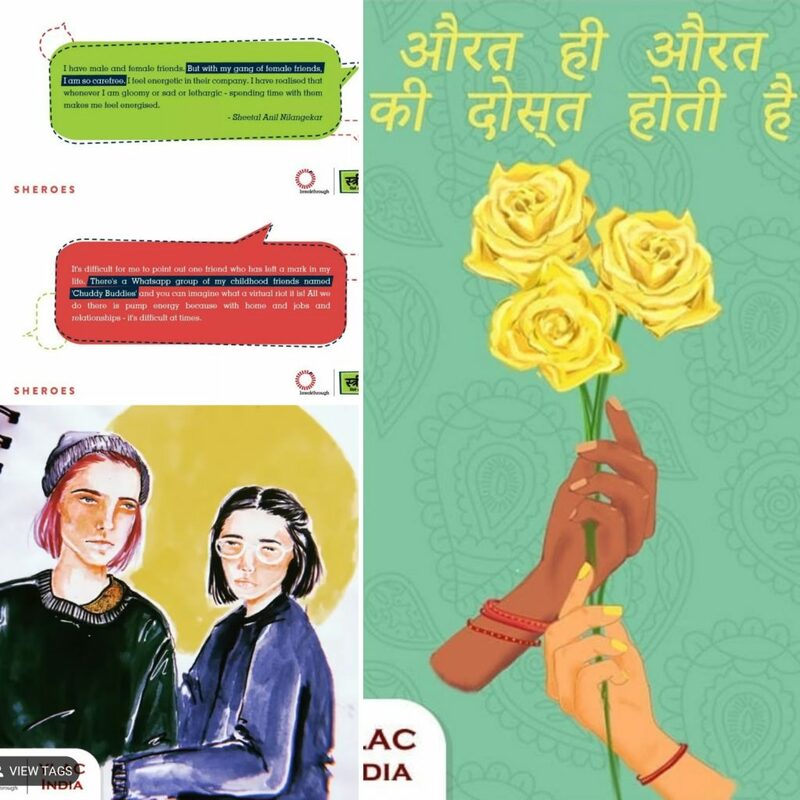 The primary themes of this campaign comprised emotional and verbal violence, sexual harassment, women in the workplace and celebrated the unshakeable strength of women friendships. Find our StreeLink campaign page here. 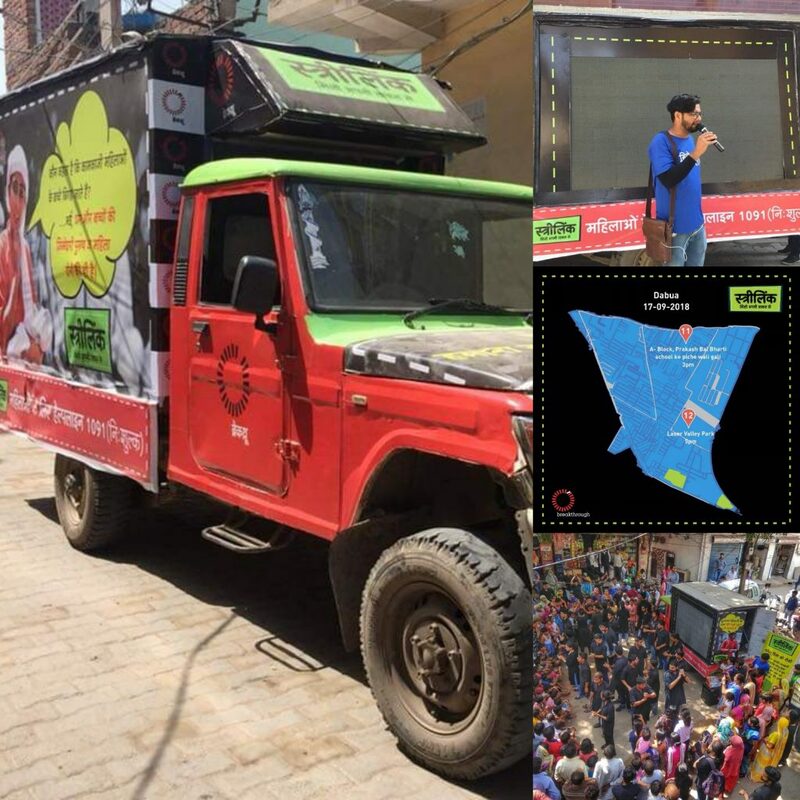 The Video Van was a means through which we visited various communities and engaged with them via films and theatre – in collaboration with the Sukhmanch Theatre Group. 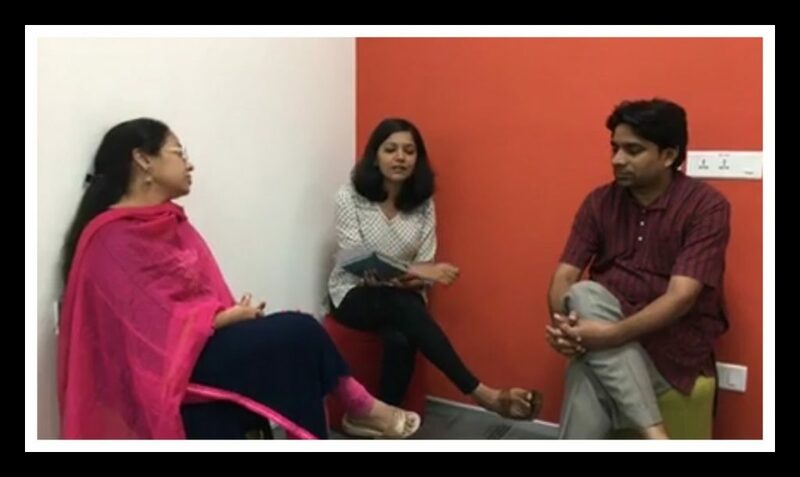 We discussed sexual harassment, workplace violence against women, women supporting women in the workplace and a myriad of topics that attempted to step forward into a more gender-sensitised future. 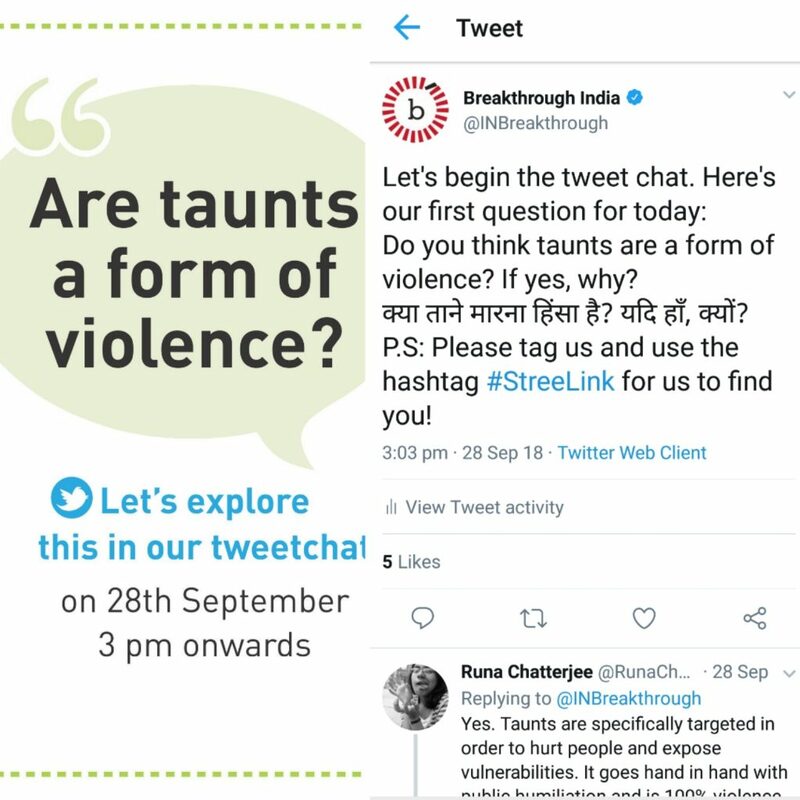 Our StreeLink Facebook Live focussed on the emotional and verbal abuse that women face at home, in the workplace and in communities. A tweet chat delved into the nature of emotional abuse and its ramifications. As well as addressing the question – what are the forms in which emotional and verbal violence can surface? 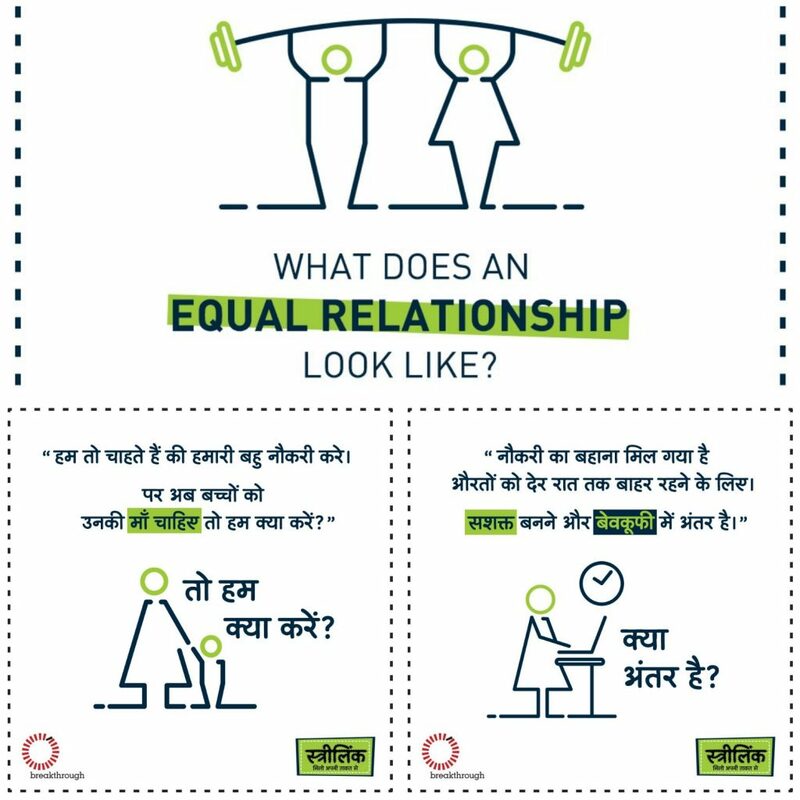 By roping in graphics for engagement posts, we broadened our scope of engagement and assessed interpersonal relationships – both inside and outside the home. Discussions and understandings premised on pop culture have always proved fruitful. Our blog facility enabled us to correlate real life with popular films while making sure our topics of discussion had a prominent place. 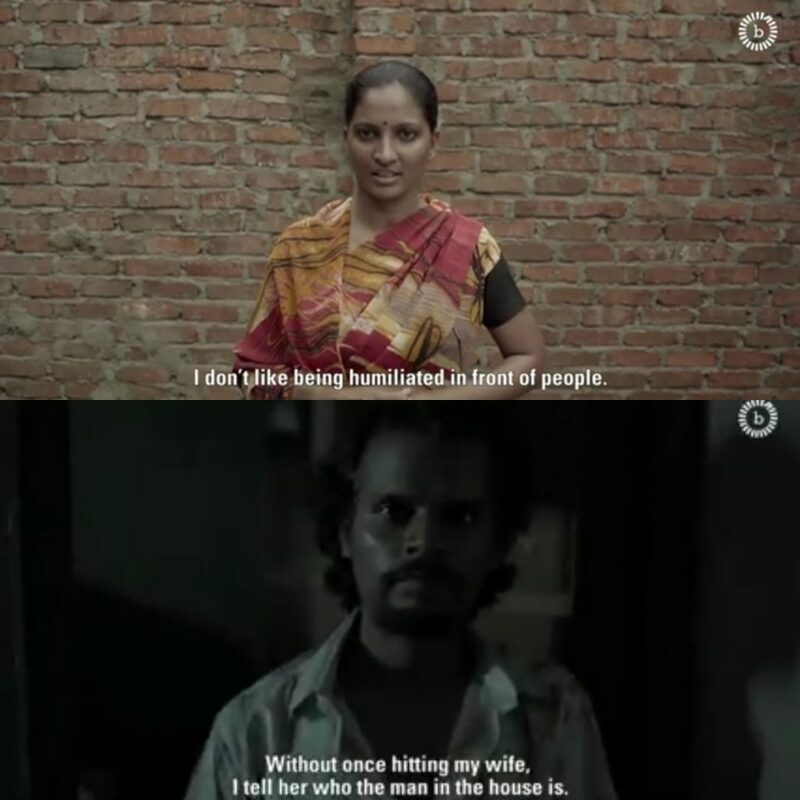 Videos for the StreeLink campaign took us beyond the usual tropes of violence and harassment. That domestic violence, sexual harassment and workplace discrimination aren’t always physical. 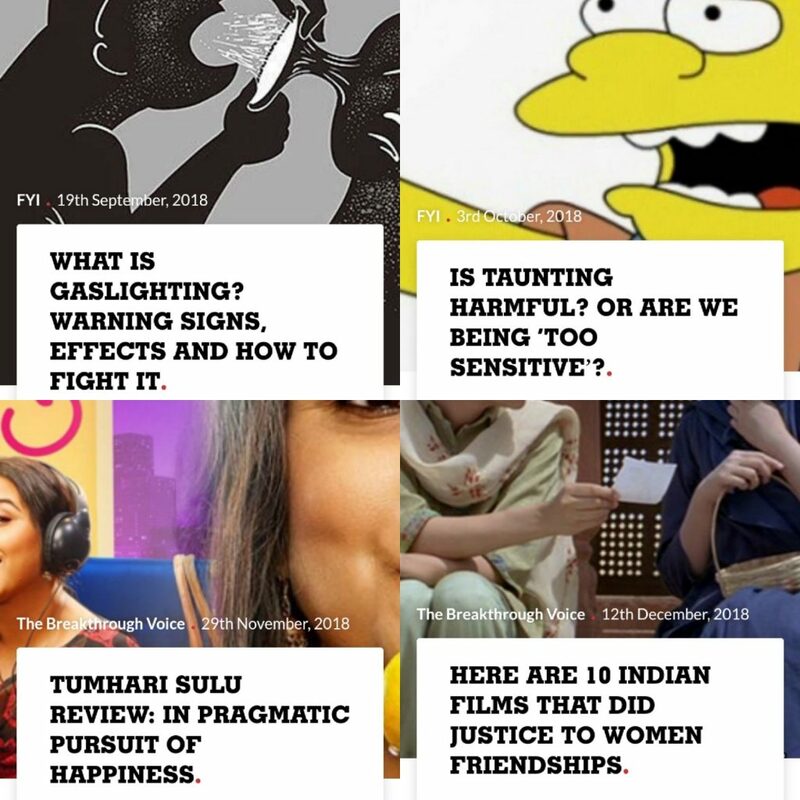 Content collaborations with YLAC and SHEROES took on the outdated stereotype of women being each other’s worst enemies. This collaboration, through the use of images and narratives, paid tribute to women friendships. The narratives that emerged with the #MeToo movement were horrifying in itself. Nevertheless, the movement was also a standing marker of the strength of the solidarity between women.